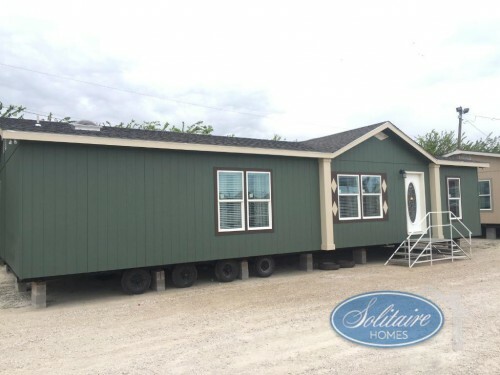 Get the home of your dreams for less with the DW 856 SC manufactured homes for sale here at Solitaire Homes. 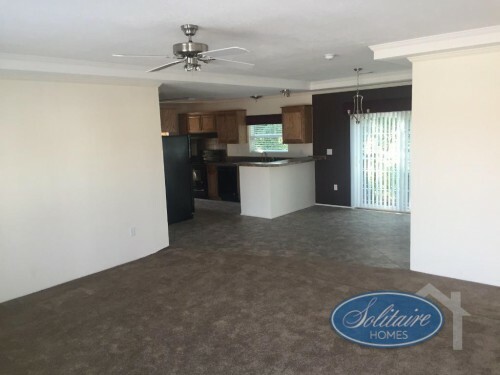 This amazing floorplan is built to be spacious and the perfect home for a family. Let’s take a look at this three bedroom, two bathroom home in this DW 856 SC manufactured home review. Our DW 856 SC floorplan is perfect for the whole family. As soon as you walk inside the DW 856 SC home, you will see the open floorplan that you have always wanted. The large living room and dining room are connected to make one giant space perfect for entertaining or just hanging with your family. And the kitchen with its high bar right off the dining area will be easily accessed for grabbing those quick snacks or watching television while cooking. Find an open floorplan perfect for entertaining. The master bedroom of this double section floorplan will be the perfect retreat any time of the day or night. 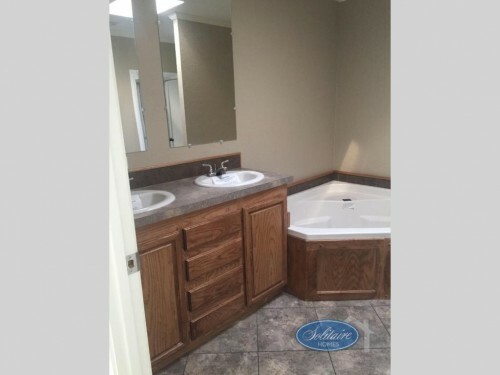 Find a giant room connected to the huge walk-in closet complete with built-in shelves and cabinets as well as the ensuite bathroom featuring dual sinks, a glass door shower with a seat, and a large, corner soaker tub. This is the ideal setup for your dream master suite. Get 3 bedrooms and 2 baths including a large master ensuite. The full second bathroom will be located between the other two bedrooms to make this an easy-to-access space. Whether you are in the dining room, living room, or kitchen, this will be easily reached by family and guests alike. Plus, with the two bedrooms so nearby, nighttime trips to the bathroom will be a breeze. We love providing the highest quality homes at affordable prices like our DW 856 SC manufactured homes. To learn more or to take a tour of any of our homes, contact us or visit one of our many locations today!